A fire has devastated the Guaranis roadside camp in the Brazilian state of Mato Grosso do Sul. 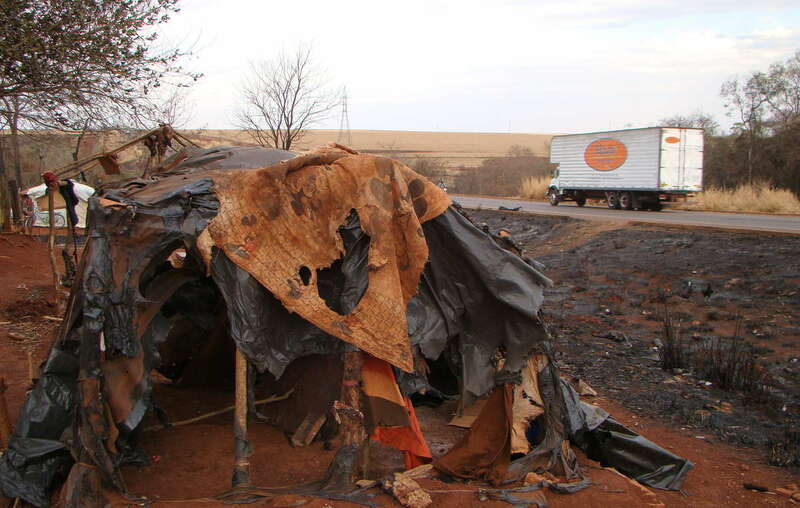 A fire has raged through a Guarani roadside camp, forcing the Indians to flee as their shelters were razed to the ground, their food supplies destroyed and their possessions lost to the blaze. The fire is reported to have started on the São Fernando sugarcane plantation and mill which are occupying the ancestral land of Apy Ka’y community. According to Brazil’s environmental police force, it has destroyed an area of approximately 1,000 hectares, including the indigenous camp. Its cause is yet to be confirmed. The destruction took place in the Brazilian state of Mato Grosso do Sul last Thursday, but full details of the events have only just emerged. Damiana Cavanha and her community have lost their shelters and belongings in the fire. The Guarani of Apy Ka’y have little material to rebuild their shelters. Their children are already malnourished, and these latest events will further increase their vulnerability. 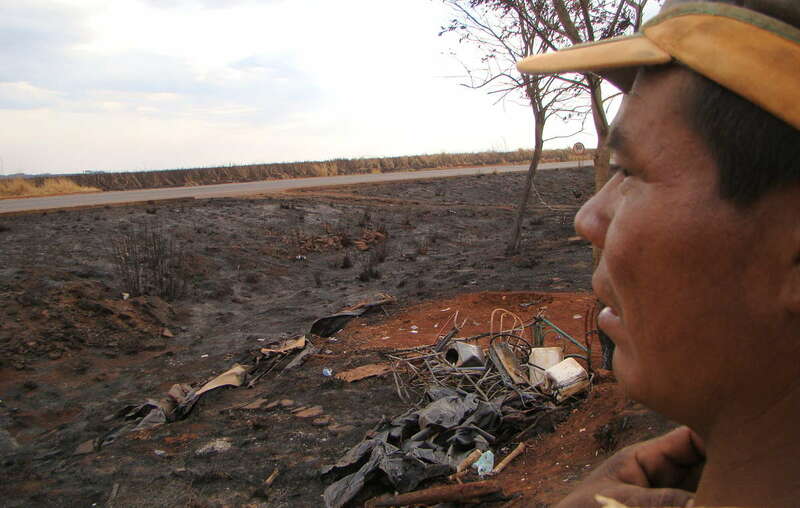 Damiana reported that once the fire had died down, the armed security guards employed by the São Fernando ranchers threatened to kill the Guarani. ‘The gunmen told me they will kill all of us. But I’ll continue fighting for our tekoha (ancestral land)’, Damiana said. The Indians were forced to leave their ancestral land when it was occupied by ranchers almost fifteen years ago. Damiana and other members of the community have been living intermittently on the side of the main road for the last ten years, whilst their lands are used to fuel Brazil’s booming biofuels industry. They face the constant risk of fatal road accidents as cars and trucks pass at high speeds. Damiana’s husband and three of her sons were run over and killed on the road next to which the community is camped. 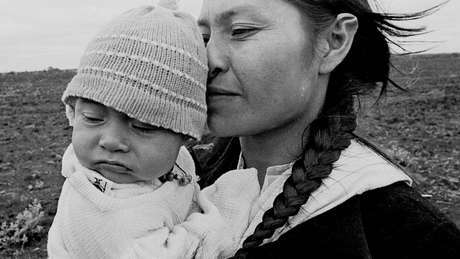 The Guarani have little material to rebuild their shelters and suffer from restricted access to food and clean water. Each time they have attempted to reoccupy their land, ranchers have re-evicted them. 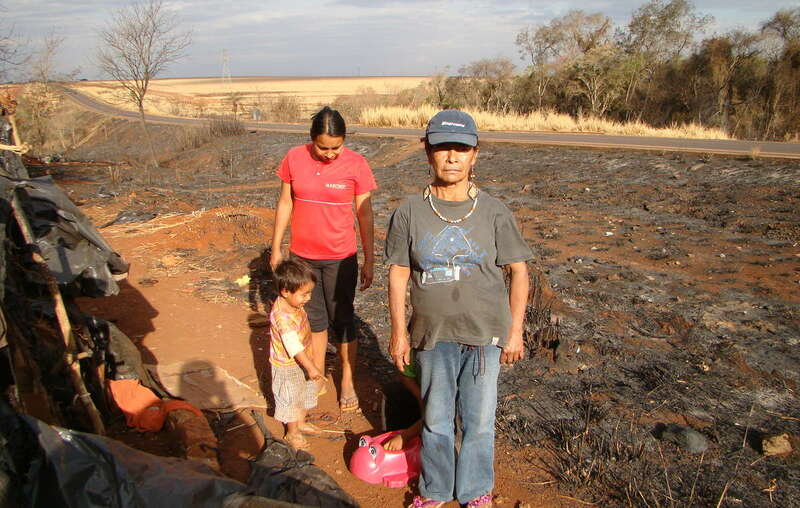 The community has been attacked numerous times, including one incident in 2009 when gunmen fired shots into the camp and set the Guarani’s shelters on fire. Gunmen frequently target Guarani leaders and several have been killed following their push to regain their ancestral territory. Survival is urging the Brazilian government to fulfil its constitutional duty to demarcate all Guarani lands and return them to the Indians for their exclusive use.